It was April of last year when Pepsi launched its "Live for Now Moments Anthem," a short film featuring model and reality TV star Kendall Jenner, on YouTube. Little did Pepsi know the ad would become one of the top brand fails of 2017. This news story is what we call a Slow Burn: It sustained public interest for months on end as consumers, analysts, and critics stoked the fire under Pepsi, Jenner, and the concept of capitalizing on public interest in a social justice movement to promote a brand. Here's a look at how the story broke and evolved, and the essential role social media platforms played. On April 4, 2017, Pepsi released its two and a half minute ad on YouTube. The theme of the video was clear from the start: Viewers saw young people marching in a protest, carrying peace signs and messages like "Join the Conversation" in Pepsi's signature colors of blue, white, and red. The protest wound its way past Kendall Jenner, who was in the midst of a photo shoot. When she realized what was happening out on the street, Jenner—along with other young people around her—joined in. In one particularly memorable scene, she handed a can of Pepsi to a police officer on crowd control. The act caused the crowd to erupt into cheers, and the ad ended with Pepsi's logo and its "Live for Now" slogan appearing on the screen. Almost immediately the ad incited a consumer response—but not the one Pepsi was expecting. On Twitter, users questioned the wisdom of using a protest, even a fictional one, to sell soft drinks. Some called the ad "exploitive brand social activism." Twitter curated the countless user responses and featured them in its Twitter Moments on April 5. In the days that followed, Pepsi and Jenner were the subject on everyone's lips. On YouTube, the ad received 1.6 million views within 48 hours of going live. But according to Wired, it received five times as many downvotes as upvotes, and it also led to the creation of countless memes that didn't paint the brand in a positive light. At the heart of all the criticism was the suggestion that Pepsi trivialized protests and their importance to society at a time when real-world movements needed to be center stage. The ad was released on a Tuesday, and by Wednesday Pepsi had issued an apology, stating: "We did not intend to make light of any serious issue." The company pulled the ad at once and halted "any further rollout." Even with the ad content removed from Pepsi's YouTube channel, the chatter didn't end in April. In late September, the ad was in the news again when it was addressed in the season premiere of Keeping Up With the Kardashians. Up until then, Jenner hadn't made a public statement about her involvement or the backlash, but the episode showed her upset and expressing regret about the ad. In January of 2018, Jenner attended the Golden Globe Awards, leading to yet more criticism. Then, in early February, TV Guide referenced the ad in relation to Dodge's decision to use a speech by civil rights icon Martin Luther King Jr. in its Super Bowl spot. 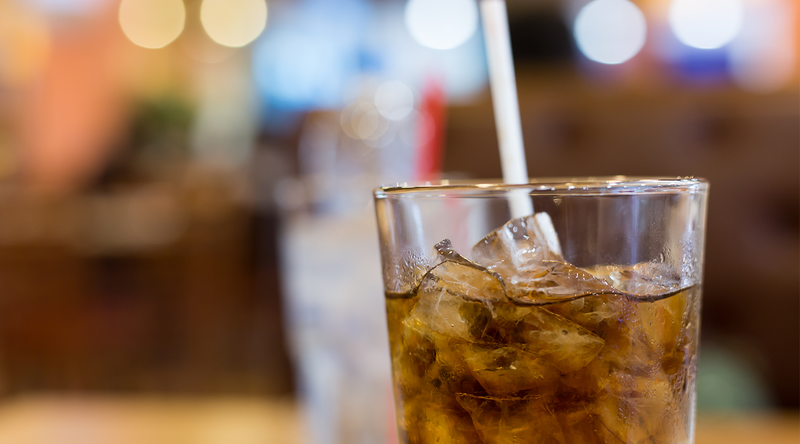 With each new surfacing of the event, consumers headed to social media to share their opinions about Jenner, Pepsi, and the conflict surrounding their ad. In March, nearly a full year after the ad came out, Jenner told Vogue, "I've been yelled at before, stepped in controversy before, but nothing to that extent." 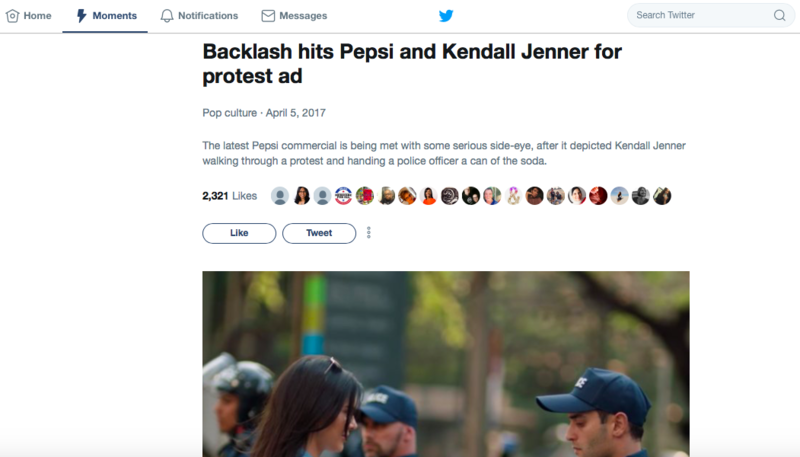 By now, however, mentions of Pepsi's ad were conspicuously absent from most of the social media commentary related to Jenner's interview. In fact, as far as Pepsi is concerned, it doesn't appear that the controversy had any long-term affects on the brand. Initial public reaction to the ad encouraged some to take a close look at how the company's revenue and stock fared, and it was reported that PepsiCo's Q2 2017 earnings were actually up. "We have a can-do spirit with a must-do result," PepsiCo CEO Indra Nooyi said last year. Pepsi remains "pretty solid" today. The criticism Dodge received for its Super Bowl ad suggests there are big risks involved with this marketing strategy. But there are also plenty of examples of companies that found success with this approach. Regardless of the approach brands take and their willingness to address a social cause, the bottom line remains: Each time a company takes a public misstep, social media users are ready and waiting to make their voices heard. In many cases, brands can quickly evaluate consumer feedback on major social platforms and respond accordingly. But you can bet that the next time marketing and social justice collide, you'll see Pepsi and this smoldering news story mentioned once more.